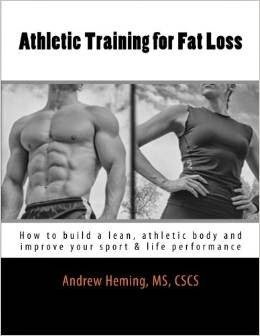 Andrew Heming's Blog: Mixed Grip for Deadlifts? Q: What do you think about the alternate grip for deadlift? When first learning the deadlift, I start all beginners with the double-overhand/pronated grip. This provides more grip work and is easier to learn. 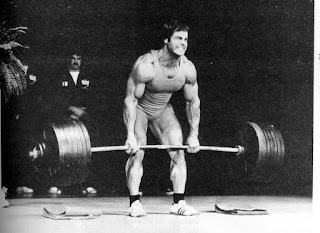 Another wonderful benefit of the pronated grip deadlift is that the grip is the limiter. At first this may not seem like a limited, but stay with me on this. If you switch to an alternate grip, most people will find that their grip is no longer their limiter. As a result, the low back usually becomes the limiter and that can pre-dispose you to injury. I would rather the beginner miss a rep because their grip gave out than their low back. As the weights get heavier, you will eventually find that you cannot hold onto the bar. At this point, the alternate/mixed grip is an option. It lets you hold onto the bar without worrying about losing your grip – you will be pleasantly surprised the first time you try this as it is significantly easier. When you grip is giving out, the body can “shut down” other prime movers to prevent injury. When the grip is secure, the deadlift feels somewhat easier. If you are competing in the sport of Powerlifting, it is the preferred choice of most lifters. Being easier to grip means less grip work. Increased potential for rotational torque on the body. I have actually strained my back from pulling with an alternate grip and having the bar twist on me as a result. Increased risk of strain on the shoulder, bicep tendon and wrist of the supinated hand (the one with the palm forward). One option to reduce this risk is to alternate which hand you supinate. While some recommend switching the hands up from one set to the next, I personally find it best to alternate from one training session to the next. 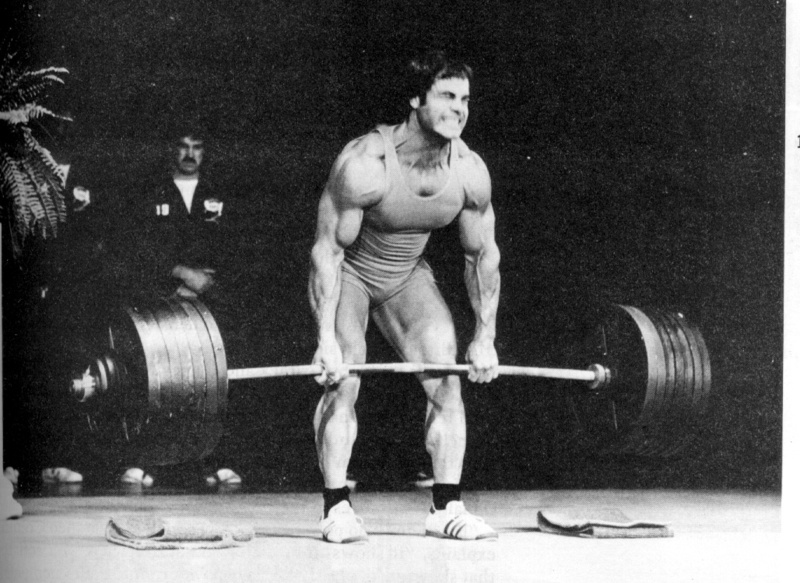 The mixed grip puts a different twist (literally and figuratively) on the deadlift. Once your body gets used to one way, it can be tricky to go immediately to the other in the same session. I have actually injured my back doing this. Increased risk for tearing a bicep tendon of the supinated hand. However, there is some research to suggest that the risk of bicep tendon tears is reduced if you supinate your non-dominant hand. Not taking steroids also reduces your risk of this. Keeping your elbows straight also helps reduce this risk. I have found (both in my own training and in coaching others) that the mixed grip causes extra twisting problems when using the Romanian deadlift compared to the regular deadlift. 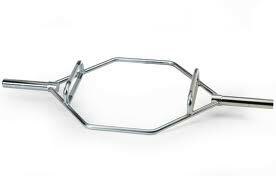 I do not recommend the mixed grip for Romanian deadlifts. Use chalk – it is a vital component of high performance training! Unfortunately many gyms do not allow chalk. If you are serious about training do your best to find a place to train that does allow it. Strengthen your grip. See the arm section of this manual for details. Use a hook grip. This is a grip used in the sport of Weightlifting where the thumb is placed on the bar first and then the index and middle finger are wrapped around the thumb. It basically turns the hand into a lifting strap. 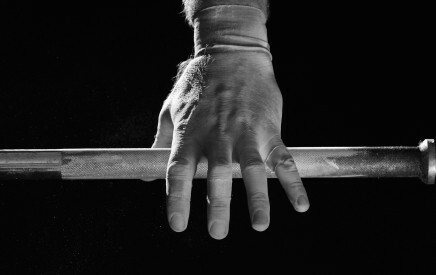 Warning: this grip feels awful at first, but lifters do get used to it. If you have hand problems or your hands are a huge part of your sport, I do not recommend this grip! Although weightlifters use this grip in competition, I only know of a few powerlifters who do so. Use lifting straps? For those not competing in powerlifting, this can be an option. It prevents the previously mentioned cons. The down side of this is that grip strength can get left behind. Straps can also strain the wrists. Personally, I tried straps a while back for one deadlift session and I hated them. I found that it was harder to maintain tightness in the rest of my body without having the hands tight to the bar and this can result in back strain. I also hate the idea of being dependent on an artificial aid to train properly. While I am not totally against the use of straps, I am a big fan of athletes holding onto their own weights. Note: the importance of grip strength varies for different sports, so straps may or may not be wise. Use the trap-bar for "deadlifts"? 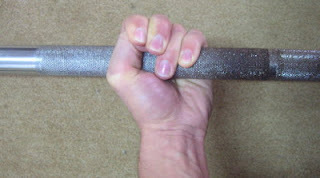 The parallel grips of the trap bar place both palms facing in to each other which provides some extra assistance (though not quite as much as the mixed grip) while keeping the hands in a natural, comfortable position. Trap bar deadlifts are also less stressful on the lower back. The downside with trap bars is that they allow you to "squat" the weight up. As a result, you do not emphasise the hamstrings as much or the glutes in lockout so these may need to be addressed with other accessory exercises. If you are trying out the mixed grip for the first time, I recommend using it on all your sets of the deadlift – even the light warm-up sets. That way you get the feel of the mixed grip before you start pulling heavy weight. After you get used to the mixed grip, you may want to do your warm-up sets with a pronated grip and save the mixed grip for when you really need it.